I decided to take a look at the Lethal Enforcers board I recently bought as it had no sound. 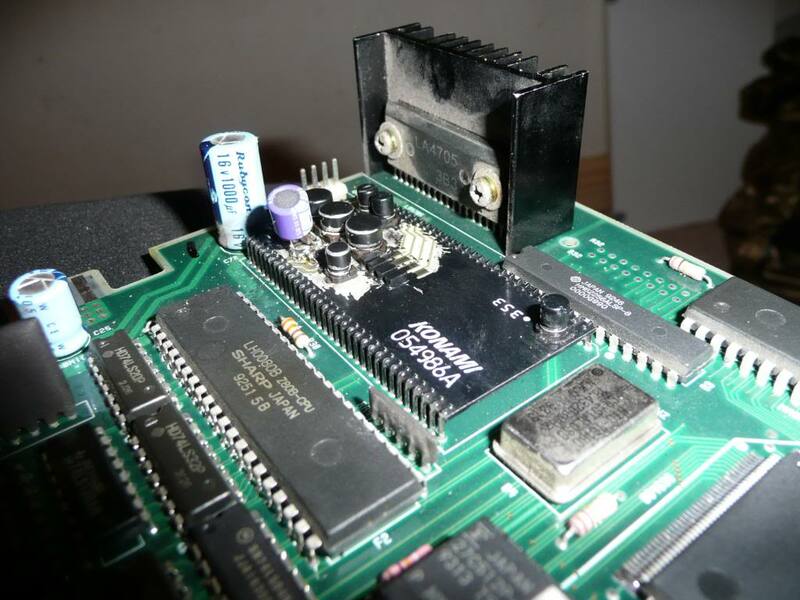 There are many accounts of people with this problem on the forums for this board and the X-Men board, they use the same IC. I found an excellent post over on the KLOV forums here and decided to see what I could do. 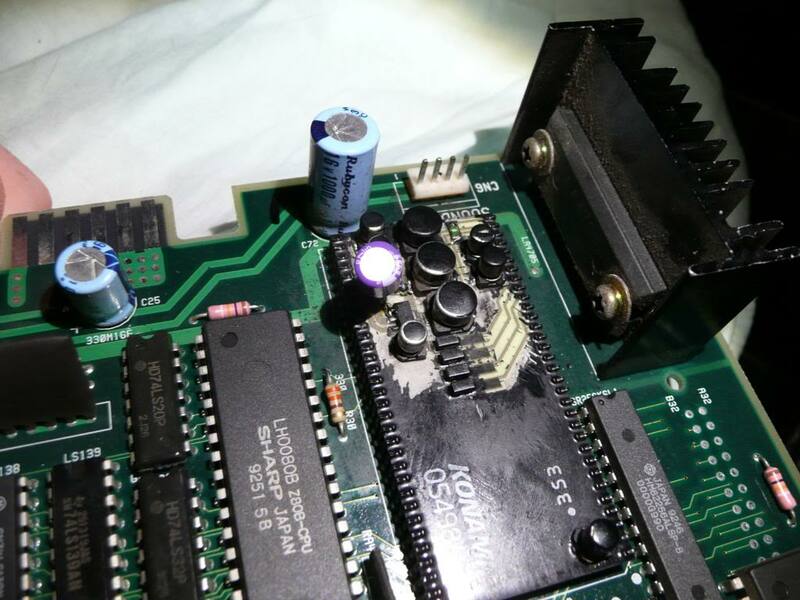 I scraped away the resin around the capacitors and with my multimeter checked continuity following the diagram user tkrn had posted in the above thread. Capacitor C6 had leaked a little and had corroded the track between the positive side and the first pin of the 3 pin IC next to it. I removed the capacitor with a set on small pliers, it came off very easily, and replaced it plus I bridged the corroded track too. Fired the board up and full sound is back. I haven’t replaced any of the other capacitors yet as its working but when I take this board out and store it I will probably do so just for the sake of longevity. 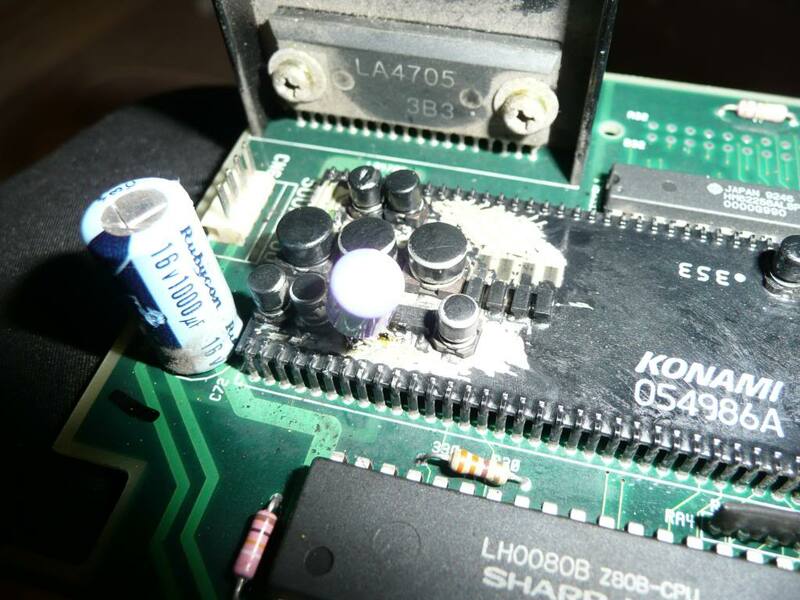 Many thanks to tkrn over at the KLOV forums for his excellent post, without it I wouldn’t have attempted this fix.